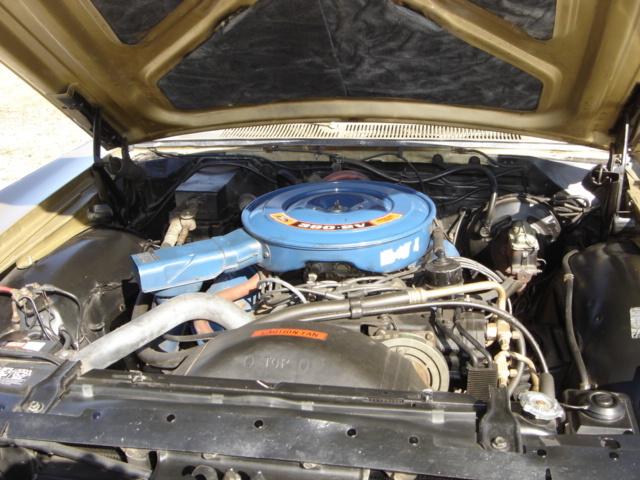 This page features a vehicle owned by members of the Cimarron Starlite Cruisers' Car Club. 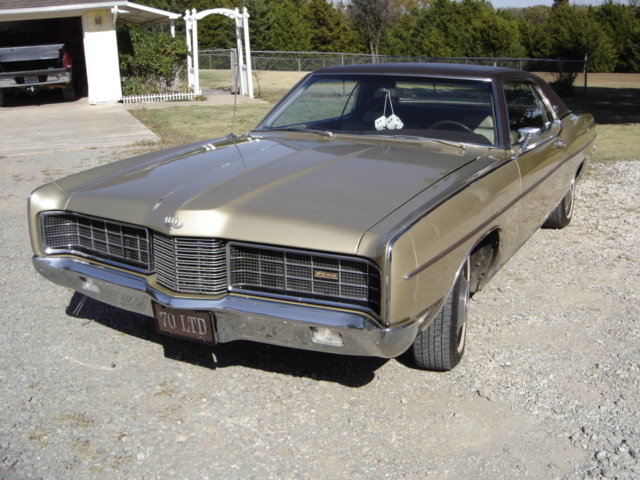 The November 2008 Cruiser of the Month is a 1970 Ford LTD Brougham owned by Ed and Lola Fleming of Perkins Oklahoma. Ed and his father purchased the LTD five years ago in California. The car was in very good shape and had been well taken care of. The entire exterior of this big ol’ Ford is all original. 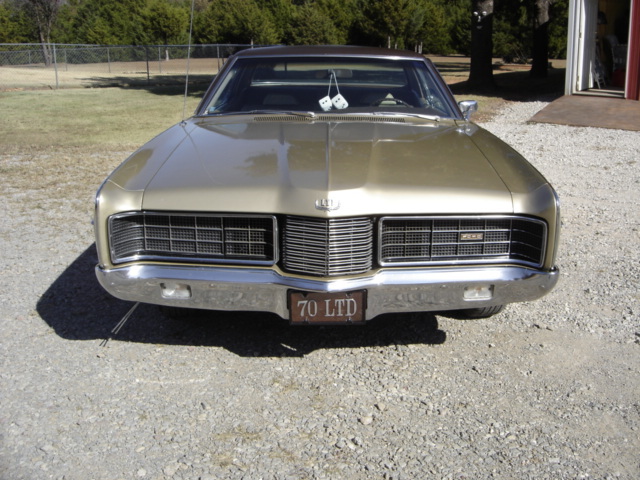 The original Champagne Gold paint, the bumpers, the grill, the chrome trim, the dark vinyl top, the engine, the transmission, and most of the engine components are all original. The Ford shows 109,000 miles on the original speedometer. The 390 V8 makes 270-horse power with the original 2-barrel carburetor and produces 390 pounds feet of torque. The original C-6 transmission still works as new. The big Ford has power steering, power brakes and factory A/C. The interior still has the original dash, headliner and door panels that are still in good condition. The carpet has been replaced and the seats have new stock fabric covers, which match the original down to the stitching. 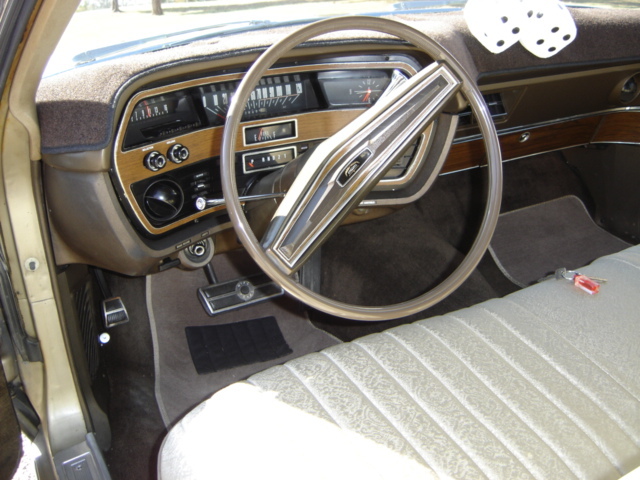 A dash carpet covers the original padded dash. 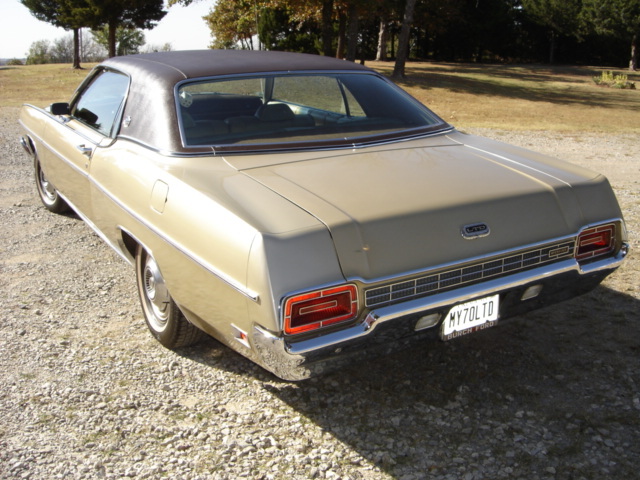 The Cimarron Starlite Cruisers are proud to feature the 1970 Ford LTD owned by club members Ed and Lola Fleming as the November Cruiser of the Month.